In either situation, you will see a checkbox in the prompt, allowing you to request a signature from the buyer. If checked, the Buyer will receive an email notification asking them to review the order and add a signature. 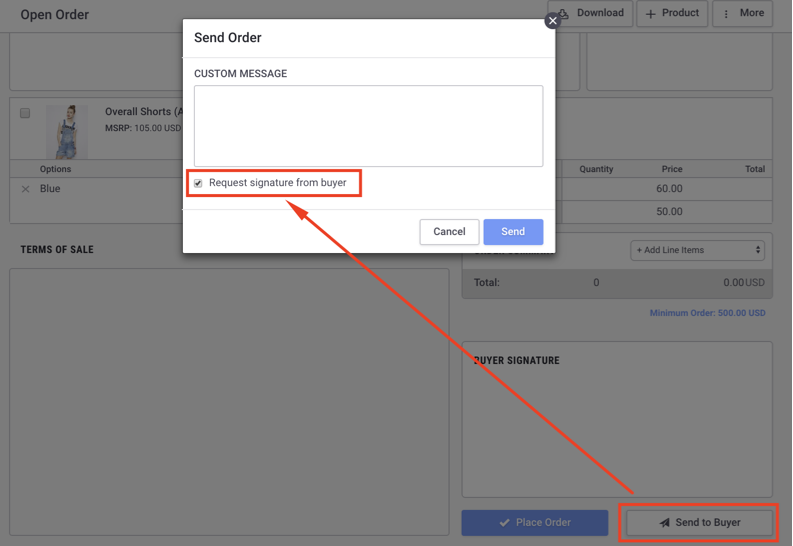 See Add Signature to Order to understand how the Buyer would sign the order.